I Went to the Khemisset Carpet Market and Wanted to Buy 20 Carpets! So You’ve Been Invited To A Moroccan Wedding. Now What? Zagora is a common pitstop on the way to the Sahara Desert. It is the last big town you’ll hit on your way to Erg Chigaga, one of the two major dunes in the Moroccan desert. Although most travellers won’t spend more than a night in the Zagora oasis, it’s a destination in its own right! With few signs of modernization, it’s a great place to experience traditional Moroccan life in outstanding scenery among some incredibly unique sites. Meteorite Hunting in Morocco: Space Rocks in the Sahara! This past year, Morocco has made headlines for its scientific discoveries and innovations – some of which have been game-changing. If you’re in the country, you can visit the locations linked with these finds. Here are our top five scientific discoveries in Morocco. As the largest, and one of the driest, deserts on Earth, it’s safe to say there are very few places in the world like the Sahara Desert. The infinite sea of sandy dunes all in different shades of gold is the perfect setting to experience a once-in-a-lifetime getaway filled with adventure, fun, and unique experiences. 8 Delicious Moroccan Foods You MUST Try! Food is a major part of Moroccan culture. 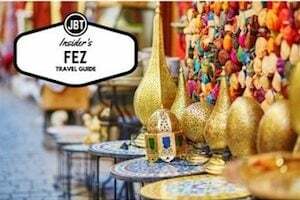 Its diverse and intense flavors perfectly capture Morocco’s multiethnic background, tumultuous history and rich heritage – and they’re an integral part of the country’s renowned hospitality. Best of all? Moroccan food is absolutely delicious. 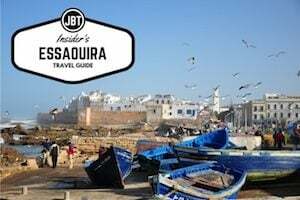 If you’re planning your first trip to Morocco, chances are you’ll be tempted to visit the country’s best known sites: the busy souks of Marrakech, the historic mosques of Fez, the infinite sea of golden dunes in the Sahara Desert, the windy coastline in Essaouira, or the dramatic mountain landscapes of the High Atlas. While these will all be worthwhile destinations during your trip in Morocco, don’t forget to include Moroccan villages! There’s a case to be made for wandering off the beaten path and exploring some of the country’s lesser visited towns and villages. 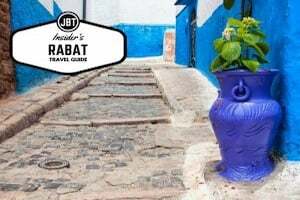 It’s here that you’ll get to taste a slice of real Morocco, away from the tourist crowds and at your own comfortable pace. Although best known for its desert landscapes and labyrinthine souks, Morocco is actually home to some of the most stunning mountainous scenery in the world. Those who venture away from the country’s bustling medinas will find dramatic mountain ranges, high snow-covered peaks and lush green valleys. Best of all? Hiking remains a largely unexplored activity by foreigners here, leaving you to enjoy Morocco’s natural landscape all to yourself. So many destinations, so little time! With the New Year finally here, for many travelers the question isn’t if you’ll be traveling or when you’ll be traveling: it’s just a matter of where. Where should you go on your dream vacation? Where should you spend your days relaxing after a hectic month at work? Where will you be taking that once-in-a-lifetime family trip? To make your life a little easier, we give you 7 excellent excuses to visit Morocco as your next destination in 2017. Argan is one of Morocco’s most famous products of late. But, there’s a lot of mystery and misconceptions that exist about this nut. The trees, argania spinosa, grow only in one region of Morocco, the southwest area around Essaouira and Agadir. The people in this region have used and processed the oil for generations and do it well! There are very few places on Earth that compare to the incredible landscape of the Sahara Desert. Located on Morocco’s western border, the Sahara Desert is the world’s largest hot desert covering an area similar to that of the United States. Many travelers visit Morocco specifically with the intention of venturing off into the desert and spending a night under the stars. And we can’t blame them! A desert adventure is a once-in-a-lifetime opportunity and we wouldn’t want you to miss out on it either. 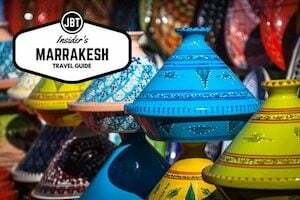 If you’re planning a trip to Morocco soon, chances are you’ve Googled something like “traveling to Morocco” or “travel tips Morocco” recently. 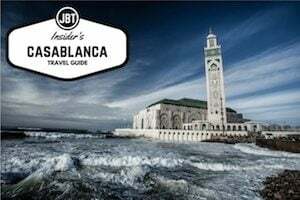 And chances are you’ve come across articles about safety concerns in Morocco, detailing how to navigate this Muslim country as a non-Muslim or warning you about bargaining too much in this developing country. Well we’re here to set the record straight. Below, we take a look at some of the most common myths about Morocco and give you the hard facts. 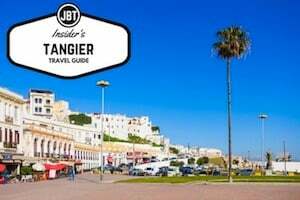 Mirleft, Morocco is a small and sleepy fishing town peacefully set back from untouched Southern Moroccan coastline and a handful of rugged beaches (some still totally wild). So laid back it’s almost horizontal, the friendly Berber town remains to attract low levels of foreign tourism and perhaps for good reason; there is not much to make up an exciting ‘things to do’ list in the town itself. “Morocco, though it is visited by thousands of tourists every year, remains an unknown country – the greater part of it as uncharted to the European or American visitor as was Tibet a hundred years ago.” Gavin Maxwell, Lords of the Atlas, 2000. 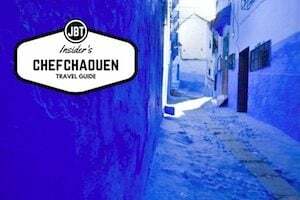 The Ancient Granaries of Taliouine from Journey Beyond Travel on Vimeo. We know that visitors and armchair tourists love to ooh and ahh over Morocco’s unique doors and bright colors. We also know that the architecture and design elements found here are unparalleled. Today take a visual journey through some examples of Morocco’s most stunning architecture. Eco-friendly travel and sustainable travel are the newest buzzwords in the global tourism industry – and rightly so. Traveling has enormous impacts on our carbon footprint. Everything from the CO2 emissions of airplanes to the waste of plastic in hotels means the tourism industry can end up affecting our climate system disproportionally. Today, many travelers are looking for ways to minimize their carbon footprint while jet setting across the world. The good news is the travel industry has taken note and is adopting newer and more eco-friendlier ways of doing business.